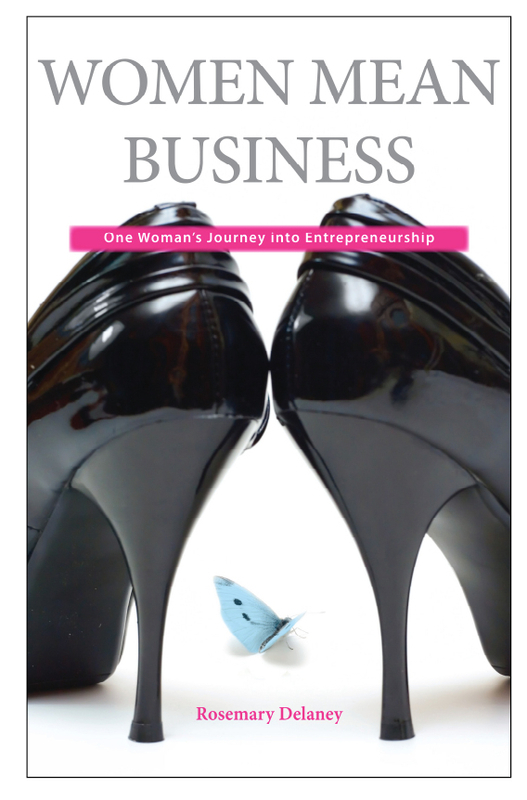 Women Mean Business: One Woman’s Journey into Entrepreneurship by Rosemary Delaney, MD of WMB Publishing Ltd, is a book of lessons learned by a female entrepreneur in a challenging economic climate – her inspirations, role models, trials and disappointments. Moreover, it provides insight into the difficulties, solutions and trade-offs faced by businesswomen, and the battles lost and won. “Delaney’s book is written in a fluent and engaging style, exudes positivity with a focused determination to get ahead while keeping a grip on a balanced lifestyle.” – Eoin McVey, The Irish Times, 19 November 2011. Buy a copy here for €20, including delivery charges (to the island of Ireland only)! Please click 'Continue With Purchase' to proceed to enter your credit card details. Safari users, please ensure your browser accepts cookies always. You can check your settings at Safari > Preferences > Security.